Millions of investors ask the same question over and over again: ‘How can I time the stock market?’ You have seen a stock or fund’s 52-week high and 52-week low, and if you are like me, you’ve probably wondered why you didn’t buy at the lowest and sell at the highest. Every stock I see on Yahoo! finance makes me sigh… If only I could have bought the stock at such-and-such date and sold on such-and-such date. I could have been a multimillionaire by now had I timed the market correctly. Various fools and alphas have written tons of articles on timing the market. Experts have written papers on trading strategies for particular stocks, but have you heard any story of rags to riches in stock market trading? It’s one thing to write about stock investing, but it’s another thing to actually profit from it. Have you ever asked these so called experts why they don’t buy the stocks they recommend instead of asking everyone else to buy? 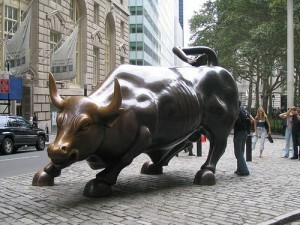 They earn a moderate income writing in favor of a stock, but they could earn unlimited income by making profit in stock. Are these guys really experts in picking stocks? 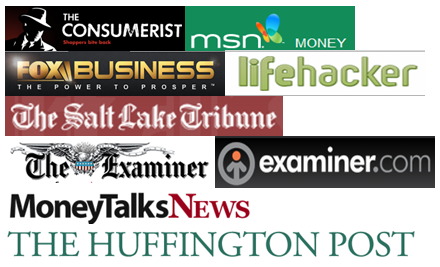 Go back to these experts’ websites and look at past editions from 2007 or 2000. Didn’t they boast about the stock market’s potential at that time? Many of us believed and bled subsequently! I have learned a valuable lesson about stock market timing early on. In particular, short-term market timing doesn’t work for amateur investors (like I am). If I asked you to tell me whether the stock market (or an individual stock) will rise or fall next week, you’d probably be guessing. We should not make investing decisions based on guesses. Let me give you an example. I decided to buy stocks last year, in order to mix my assets according to the recommendations of my advisor (a friend of mine who doesn’t charge me). I wanted to buy stocks with high dividends and also in Berkshire’s portfolio as I buy only those stocks Warren has bought. But when it actually came time to buy the stock, I just couldn’t hit the buy button. “What if it goes down?” I kept thinking. The market had been climbing since 2009, and the stock was up 40% from its 52-week low! That’s a pretty good increase in price that had already taken place. I also thought, “Maybe I should wait until the next market panic”, so I waited, and to my dismay, the stock kept on going up. I started following the stock’s movement every day. I would give a limited buy order on the stock in the morning before going to work. I couldn’t believe that my low limit wasn’t hit for whole one week. I revised my limit by $2 more per share the week after. Again, the same story – by the end of week 2, my shares were not bought. I finished reading all articles that were on offer covering that one silly damn stock! I raised my limit order by $1 more at the beginning of week 3. Somewhere midway through the 3rd week, I finally got my hands on the stock. It came to me at $3 more than my target price per share after two and a half weeks. That’s not the end of my sad story of timing gone wrong! After being at a slight profit on that stock for couple of weeks (and happiness on my latest prized catch) my beloved stock started in its journey south! Now I’m still holding that stock in my portfolio and making a slight profit (which turned into a loss again after the August collapse). I could be making a profit of 8% on the stock had I timed well and waited two more weeks before buying. Instead, I am taking a loss! Could I have timed it well at all? I saw articles suggesting a buy even when it started to decline and remained beaten down for a long time. How could I have timed it any better? This is the problem of timing the market. Only the very very best (a handful of living beings probably) can do it repeatedly. You can time the market well yourself but that would only be once out of 10 (or more) different timing decisions. Even a broken watch gives the correct time twice a day, friends! The day-to-day ups and downs of the market cannot be predicted, no matter what your argument might be. You can only guess about the market trend (bull vs bear) for next few months or years. Even when you think you have factored in all possible scenarios to predict the market correctly, a tower or two gets bombed down along with your prediction and money! You have probably heard a thousand times that the long-term average stock market return is 7% (factoring in inflation). Have you ever thought about the basis from which the start and end points of this return are calculated? Or, have you ever thought about the meaning of ‘long-term’ – what length of time is defined as a long-term? Do you know for sure when should you buy and when should you sell to realize that 7% long-term stock market gain? I don’t. The next time you see 52 weeks’ high/low on charts, stop worrying about it. In my experience I can only say that when the stock was at its 52-week low, ordinary people (aka amateurs) were selling that stock, and when it was at its 52-week high, ordinary people were buying it after reading a strong buy call by the experts. Market timing doesn’t always go as badly as I had experienced. In general, the stock market, like a well-led corporation, does return decent profit in 10 or 20 years (at least history has showed so, repeatedly). I am an investor in individual stocks and stock funds even after knowing that I cannot time the market at all, because I base my decisions on long-term performance of the stock market instead of trying to guess what my stock or fund will do tomorrow or a month later. Stop worrying about market timing, readers. You can’t master it! Focus on buying low and selling high. Great article. I think this is one of the fundamentals of investing in the stock market. I think every young person thinks (at least once) that they can beat the average, but it just can’t be done. I have given up trying to time the market and will continue to follow a long-term approach to investing. Believe me I tried for years to time market. All I ended up doing is meager profit or straight loss. Now since I went long-term way, my dividend income alone is surpassing those paltry profits. Market timing works if you are getting in on the major trend. But trying to time the months or days to enter is ridiculous. by Major trend you mean a bull market or bear market, right? It seems like market timing can only work if you’re buying low – usually its hard to figure out when is the highest point that you can sell by. is it easy to find out when’s the low? in 2007 I bought a few when dow came down to 10k, thinking i picked the winners. In no time market went to 8K. I think all you can do is, buying lower’ish and selling higher’ish! I don’t believe the matkets can be timed. Time in the market should pay-off over the long-term. But, that could prove to be wrong too…if the global economy tanks for a decade, and takes the U.S. Dollar with it. you are right, that’s why I am in market till retirement. Pick the right stock and stay with it for years. Be informed about the companies you own and if anything goes wrong, minimize your loss. Or the best approach is to leave it with fund managers to decide on buy/sell unless you are a pro. I realized a long time ago, that I can not time the market. So I keep on dollar cost averaging into the market. that’s a very good point KC! I haven’t learned it yet. I’m with Krantcents. When I decide to buy a stock, I give it a limit price just a bit above market and pick it up right away. A fluctuation of 50 cents isn’t going to make a big difference in the long run. depends on how many shares you are buying, isn’t it? It’s true that most stock analysts and “economic experts” are just a bunch of frauds. If they really are that good, why would they bother being what they are, and instead become a huge investor? Hence I only follow blogs by people who are actual investors. You know, it all comes down to the what-ifs and human emotion. Because the stock market changes so much, there is so much for the human mind to consider and dream about, good and bad. “What if I buy and it goes down, then I lose all my money, end up on the street, ahh!” The human mind connects all the dots and that fear of the unknown keeps people from timing the market well. probably more than that, we fear only when there is a genuine reason to fear about. Even the best dare devil might lose money just to try to time the market. Also to your point on unknown keeps people from timing well, if it’s known then perhaps the rewards won’t be that great, isn’t it? Sinclair, thanks for stopping by. This is absolutely correct and that’s why I invest in big large cap dividend stocks for long term, say 15 years or till I retire..